Cucumber – Agro-industrial holding "ECO-culture"
Long cucumbers have advantage in size, pronounced taste and favour, as well as a long shelf life. These fruits perfectly endure long-distance transportation and particularly popular in the spring and winter seasons. They are irreplaceable in salads, sandwiches, and less often but still used for conservation and cooking pickles. 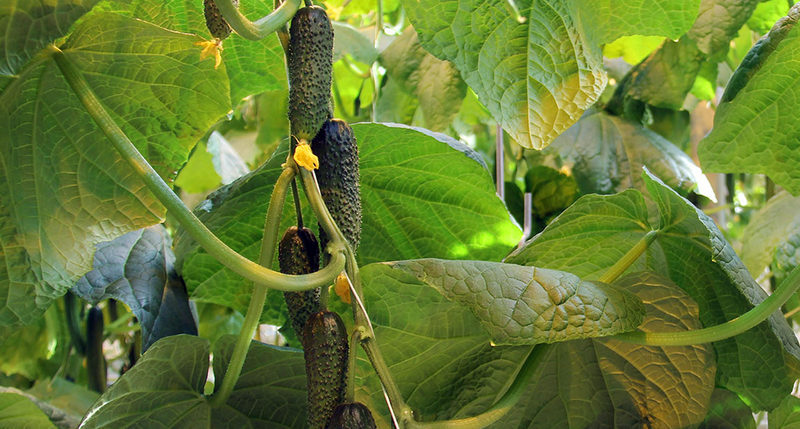 Agrotechnical properties of long cucumbers allow to grow them year-round in greenhouses. The plants are easy to care for and resistant to temperature drops. They also have immunity to most diseases and wreckers. 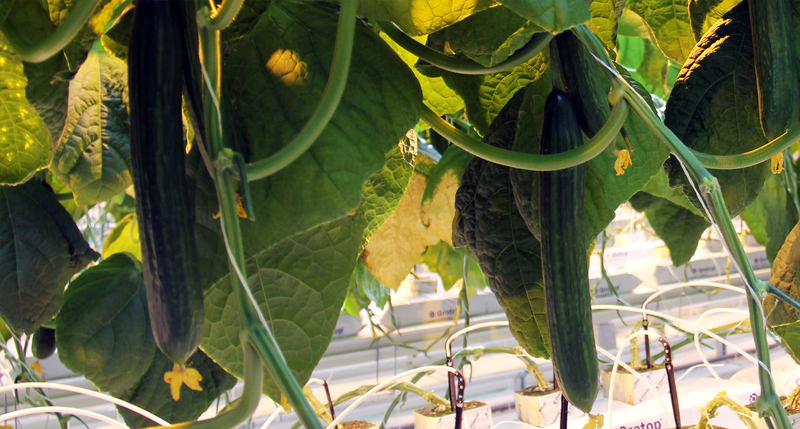 Our holding grows long cucumbers in the greenhouse complexes within the use of growth promoters and chemical fertilizers. We use only natural methods of yielding stimulation which guarantees that our customers get an eco-friendly, safe and delicious product. Perfect choice for green salads, sandwiches, burgers and any other dishes where presence of a fresh and aromatic medium cucumber is required. Can be also used for cooking pickles, marinades, and other kinds of conservation. 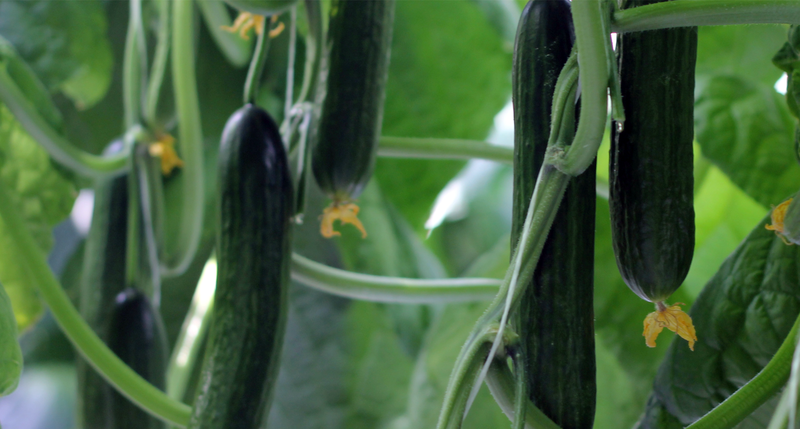 Medium cucumbers are characterized by excellent favour, attractive presentation, high keeping capacity. Its fruits can undergo transportation to any distances and are particularly popular during the winter and spring months. Thanks to the optimum size, they are convenient for packing in retail sale case. Medium cucumbers have the pronounced aroma and fresh taste, are rich in vitamins and microelements. Suitable for a diet and therapeutic feeding. The short-fruited cucumber is one of the most demanded vegetables in the world. Its remarkable taste and dietary qualities make it suitable for use both in fresh and in canned form. The fruit reaches up to 14 cm in length. The peel is thick and crispy. The cucumber is made up of 96% water. The fruit contains vegetable fiber, vitamins B, C, PP, carotene and complex organic substances that have beneficial effects on the digestive system. The optimal content of bioavailable potassium, iodine and alkaline salts make cucumber an irreplaceable component of a balanced diet.